Ritchie Cattle Waterers | Burmac Mechanical Ltd. Designed with efficient energy use in mind, Ritchie Cattle Waterers keep from freezing with little cost. 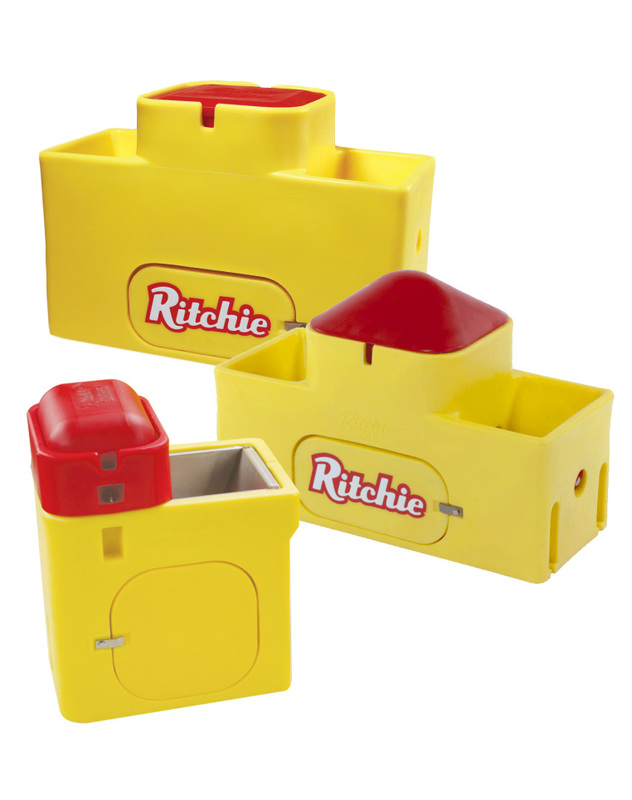 In fact Ritchie Waterers are so well insulated they have been recognized by electric companies and government agencies for their energy efficiency. Richie Cattle Waterers come with a 10 year limited warranty, five years full and five years prorated. Stainless troughs have 10 year 100% warranty against manufacturer defects and corrosion. The Omnifount is the premier system in automatic waterers. This superior product combines stainless steal and poly features to provide a quality system that stands up to the elements of Albertan weather. The WaterMatic Family is a great choice if you're looking for top value, high performance and the easiest operation and maintenance.